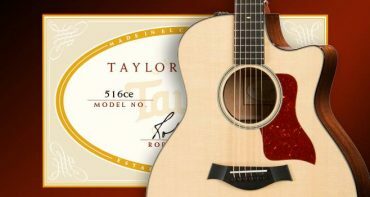 There’s more to each Taylor guitar than a model number and great sound. 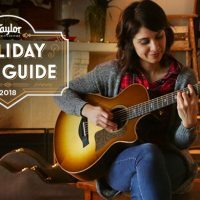 With so many guitar brands to choose from this holiday season, it’s important to know what you can get with a Taylor that you won’t find in other guitars. We care about every detail, because it’s the little things that match up a guitar with its perfect owner. 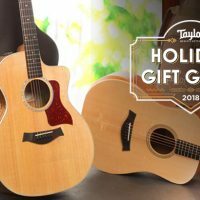 Beyond the tonewoods and body shapes, we’ve spent years developing and refining the guitar features that make ours more comfortable to play, more inspiring to hear, and more aesthetically appealing. 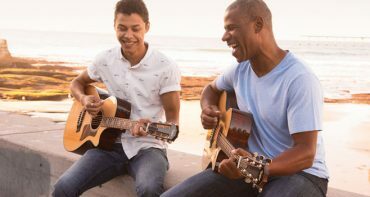 The result is a range of high-quality guitars backed by the latest engineering innovation, with enough diversity to satisfy any musical palate. Here are a few features that you might not consider at first glance. 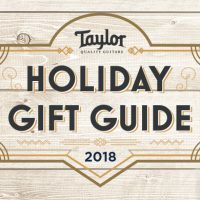 Visit our Holiday Gift Guide for more information to help you with gift shopping this year. 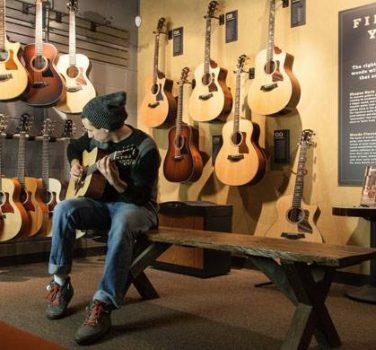 Amplifying an acoustic guitar is tough—ask any sound engineer. That’s why we designed proprietary acoustic electronics that capture the dynamic nuances of our guitars to produce a natural, warm amplified acoustic tone. Our latest version, the Expression System 2, installed on many of our acoustic/electric steel-string models, features a patented design. 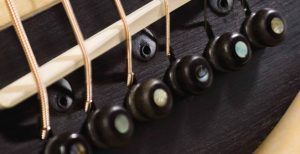 Three piezo crystal sensors are strategically positioned behind the guitar’s saddle (the piece on the bridge where the strings meet the body), enabling them to respond more accurately to how you play the guitar. Together with a pro audio-grade onboard preamp and easy-to-use tone-shaping controls, the ES2 will help you and your Taylor sound your best whenever you want to plug in. In keeping with our belief in building comfortable guitars, we include armrests in some of our acoustic models. 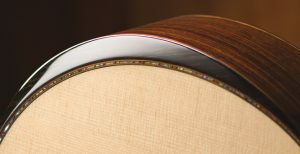 These guitar features appear on the upper edge of the widest part of the guitar, replacing that edge with a smooth, carved surface that allows the player’s arm to sit comfortably on the guitar. We’ve introduced two armrest designs—radiused and beveled—and removed another barrier to a comfortable, inviting musical experience. Both designs require a high level of craftsmanship and attention to detail, so you’ll find armrests on many of our high-end guitars. However, we also introduced armrests to our Academy Series of acoustic instruments for beginners, bringing that comfortable playing experience to a new generation of guitar players. 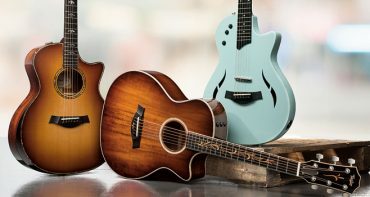 In the Academy Series, we wanted to make the most inviting guitars possible—the armrest helps new players adapt to the size of an acoustic guitar while they develop their playing skills. The same can be said of our Builder’s Edition guitars, which feature both an armrest and a double-carved cutaway design that allows for easy access to the upper frets of the guitar without needing to change hand positions. 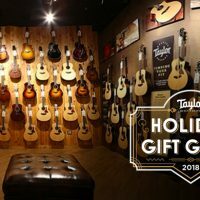 There’s more than meets the eye to each Taylor guitar. Another guitar feature; bracing is one of those things that you rarely see, and might never even notice, but it has a tremendous effect on the sound of your guitar. Though many of our guitars are equipped with traditional X Bracing—which has been the standard for acoustic guitars for decades—we’re always working to improve on old designs and push ourselves to develop new ideas and new sounds. 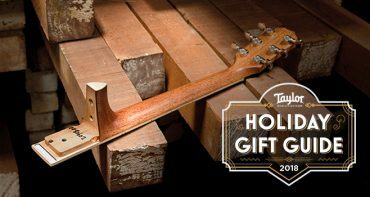 Over the years, we’ve tweaked the X Bracing pattern to create Performance bracing (in 300, 400, 500, 700, and Koa Series guitars) and Advanced Performance bracing (in 600, 800, and 900 Series guitars). These refinements help shape the voice of each guitar, altering how the top and back vibrate and opening up new tonal possibilities. And it doesn’t stop there—we’re still working to refine and develop new guitar technology for even better sound and playability. This year, we’ve released guitar features, such as a brand-new bracing design called V-Class bracing. It’s a new sonic engine for our acoustic guitars, an internal structure that controls the vibration of the guitar’s top to be more orderly and consistent. The result? 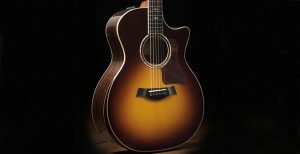 Louder volume, thanks to greater flexibility introduced by V-Class; longer sustain before a note decays, due to how the new design transfers vibration energy back into the strings to keep them moving; and improved intonation—meaning the guitar is more in tune with itself—because of how V-Class bracing resolves the clashing overtones that create sour notes and dissonance. Learn more about Taylor’s bracing patterns here. Traditionally, guitar makers have used nitrocellulose lacquer to put that classic glossy shine on their guitars, but we decided in the mid-90s that we could do better. 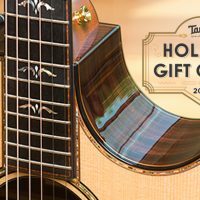 Gloss-body Taylor guitars now come with a polyester finish, which doesn’t develop the spiderweb-shaped finish cracks that you’ll find on many old guitars. It’s also generally more durable, and allows us to spray it on the guitar in a thinner coat so that the instrument can resonate more freely. 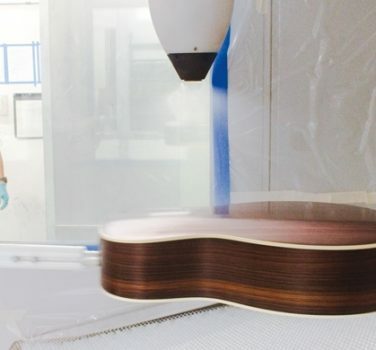 This is done through a robotic application process that evenly applies the finish over the body of the guitar, which we then retouch and perfect by hand. Finally, we use ultraviolet (UV) light to cure the finish coat, ensuring that it will look great and protect your guitar for years. In many of our guitars, we also offer several color treatment options, such as tobacco sunburst and a vintage dark edgeburst. For guitars featuring our traditional satin finish, we use a polyurethane varnish that is hand-sprayed over the guitar. New this year with our Builder’s Edition guitars is the Silent Satin finish, a subtle treatment that adds the necessary finish coat to the guitar while greatly reducing incidental noise from contact with the player. This is an especially useful feature for guitarists who value a pure, clean sound in studio, where sensitive microphones can detect even the slightest friction between the player and their guitar. The best part of our polyester finish? It’s eco-friendly. Without the harmful volatile organic compounds (VOCs) found in nitrocellulose lacquer, our formula is safer for people and the environment. You might be used to seeing simple white dots or diamonds as fretboard inlays on acoustic guitars. 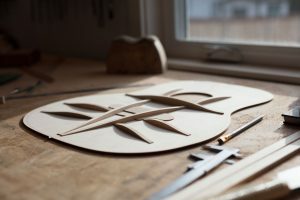 While we do use these designs in some of our guitars, our craftspeople get the opportunity to create some unique designs for many of our guitars past the 400 Series. 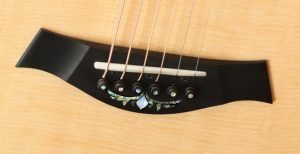 For instance, we use a beautiful abalone inlay called the Ascension pattern in our 900 Series, and an elaborate Spring Vine design in the Koa Series. Use our Guitar Browse tool to find more eclectic inlay designs, or head to our Custom Guitars page for special inlays we’ve created in the past. 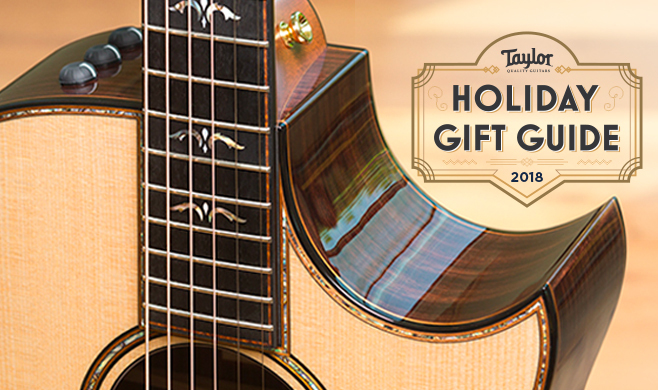 Our talented luthiers and craftspeople are encouraged to use the entire guitar as an expression of the Taylor spirit. That’s why you’ll find creative rosettes and eye-catching binding in many of our guitars. 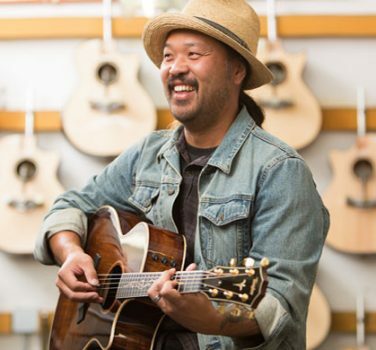 With materials like figured maple, striped ebony, abalone, koa, and more, we turn every inch of the guitar into an opportunity for creativity. 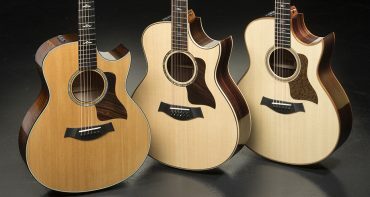 After all, shouldn’t your guitars look just as good as they sound?